Our standard range of audio cables are assembled with Gold connectors for a higher quality look finish with anti-corrosive properties. 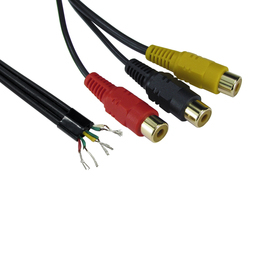 Our three RCA plugs are assembled with left and right audio with yellow composite plugs. This cable is used to solder to equipment such as faceplates. Tinned ends provide easy to solder properties.